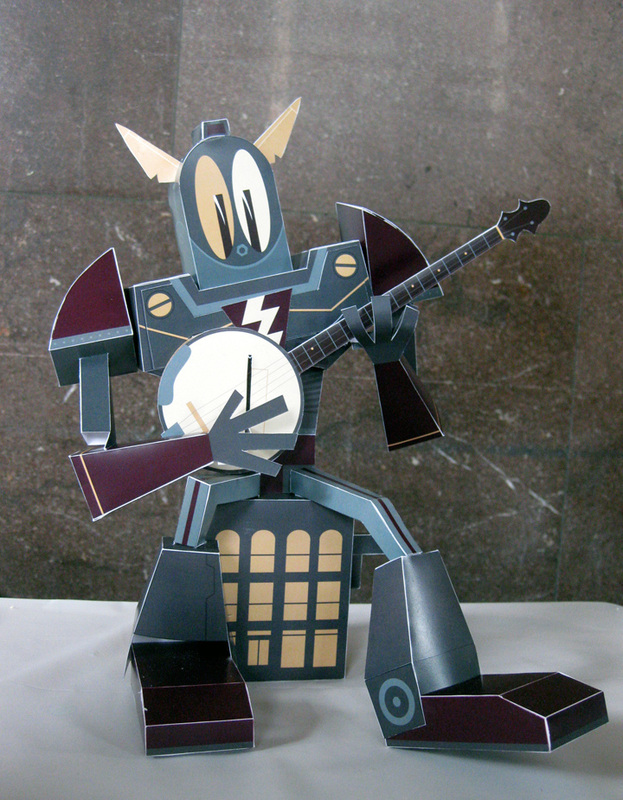 Made 100% out of paper (even the gears inside) this robot taps his foot and plays a mean banjo all he needs is you to turn the crank! 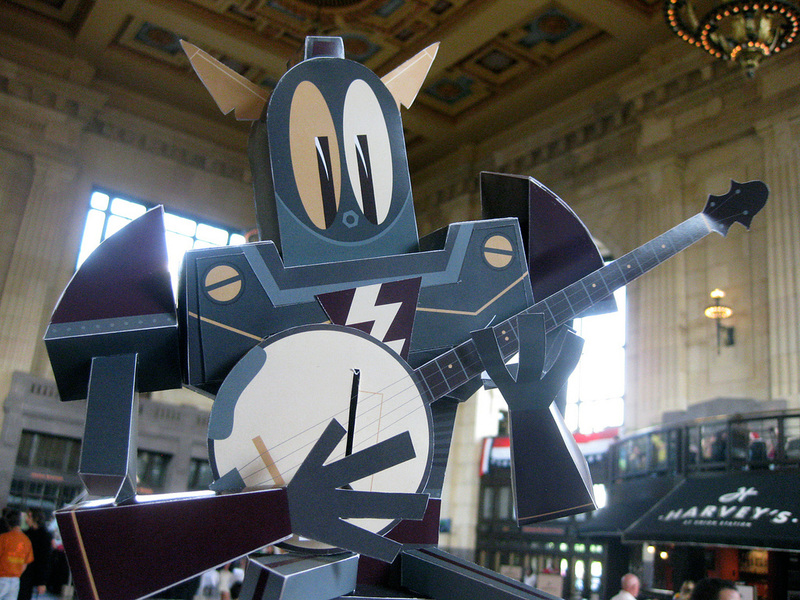 He debuted at Union station in Kansas City during the Maker Faire. This is the kind of thing I make for fun. I love designing paper toys that move and delight! Playing a little ditty at Union Station.